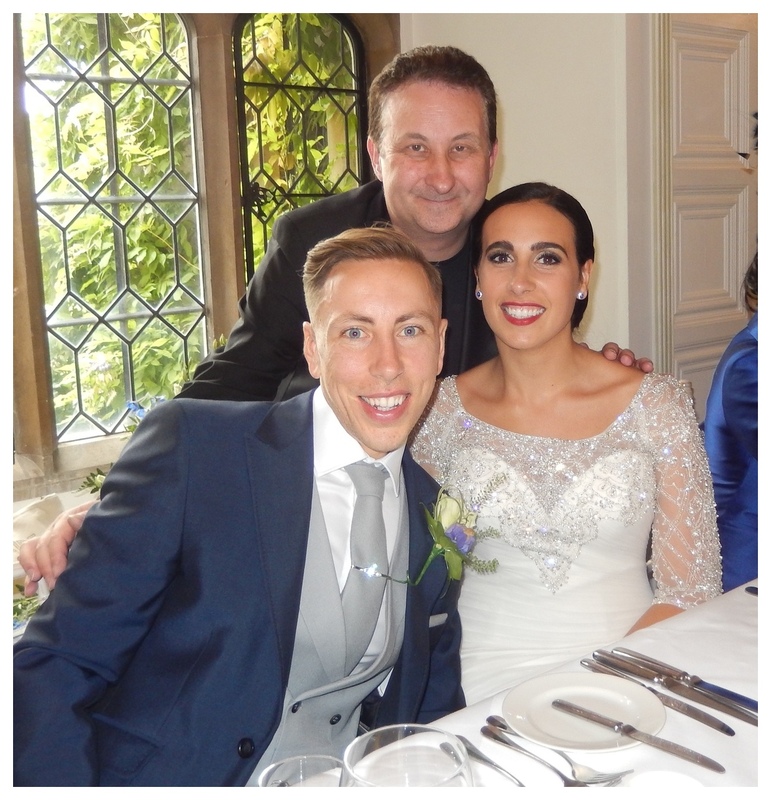 Andy is a professional magician in Gloucestershire who is available for weddings, parties and events in Tewkesbury, Forest of Dean, Cinderford, Coleford, Lydney and the rest of the county. A Professional wedding and birthday party entertainer who makes his magic look real and effortless! Up close and interactive. Thrilling walk around magic that will ice break and unite your guests. Heighten the atmosphere of your occasion significantly! 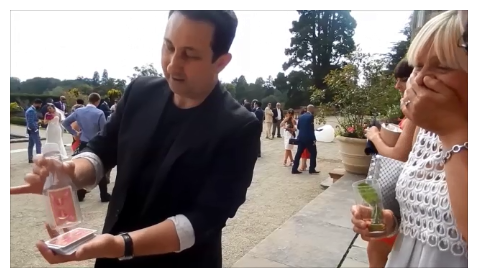 Just another day at the office – Gloucestershire magician Andy Field pushes a signed playing card into a solid bottle! Full time professional wedding entertainer Andy Field is based in Gloucester. He performs his head spinning magic all over the UK. Illusionist Andy is a supplier of close up magical entertainment. He specialises in performances at weddings, birthday parties and corporate events. Impressing your guests with his engaging walk about magic is the name of the game! A Gloucestershire wedding entertainer with a thousand secrets! He can unite your guests during arrival drinks, photo shoots and evening receptions. Ice breaking magic! An exceptional sleight of hand magician who has the knowledge, skills and experience. His card trick sleight of hand has gained millions of views on line. The long running BBC drama “Hustle”has used his magic knowledge. Have you birthday party guests entertained with walk around magic! Sleight of hand that is both contemporary and very satisfying! Andy wishes for nothing more than for your birthday to have a fantastic atmosphere. Have your guests going home totally satisfied! Conjurer Andy performs powerful sleight of hand with a variety of identifiable objects. Items such as playing cards and money. He also performs illusions with rope, phones, keys, dice and also supplies mind reading and mentalism. No more party lulls to fearful of. Andy is an excellent birthday party entertainer with skill, experience and showmanship. He will certainly strengthen the spirit of your birthday party atmosphere. Gloucestershire magician Andy Field has a playful and relaxing performing style. Andy is friendly and confident. He has a relaxing and humorous performing style. He wraps this around his strong magic. Miracles performed within touching distance of your guests! 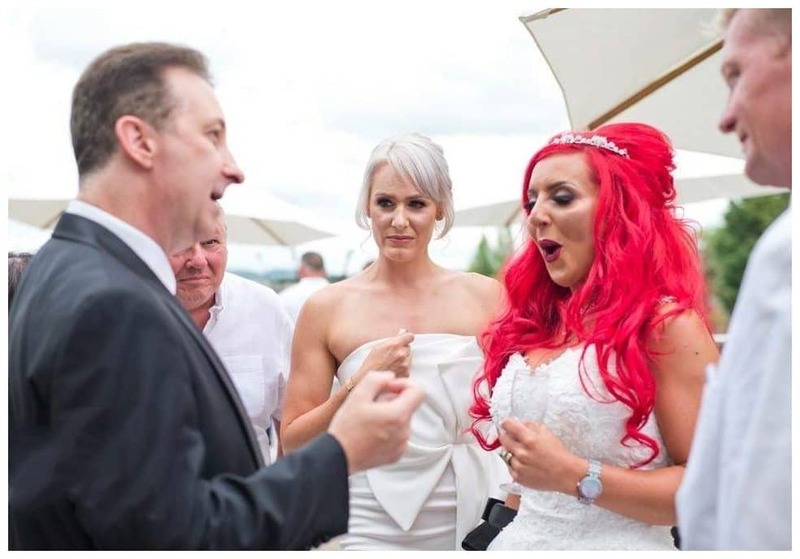 This crowd pleasing entertainment makes Andy’s close up magic perfect for any event you care to name. From Gloucestershire weddings and birthday parties. To corporate events, balls, charity functions and anniversaries he has performed at them all. Have everyone well and truly entertained. Then send them all home happy! Andy has a large portfolio of Facebook recommendations and reviews which grown weekly. One of the most reviewed UK wedding magicians in fact. The following genuine reviews have come from clients all over the UK. Andy has entertained for them at their wedding or birthday party event. Or people who have seen him perform his illusion live. Magician Andy’s Facebook and Google reviews describe him as friendly and playful. They also outline his services as great value for money. His magic is described as mind-blowing and amazing. He comes highly recommended by the public. He is never rude or risqué in his magic performances. 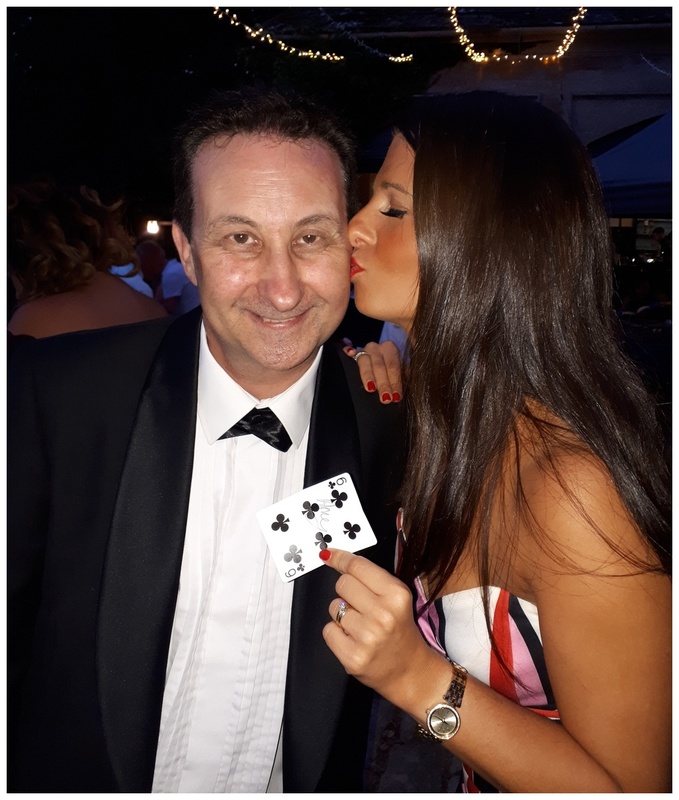 Clients have booked Andy for his charismatic personality as well as his exception sleight of hand magical skills according to many of his on line reviews. 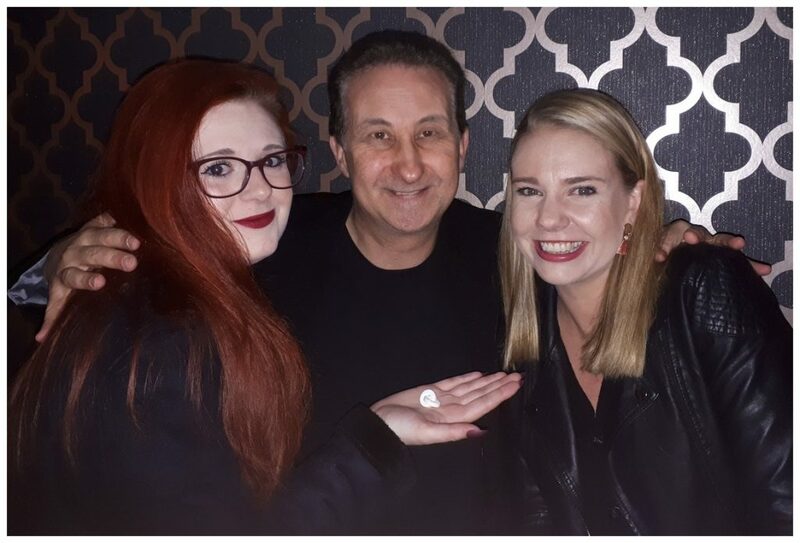 When considering hiring a professional magician for your Gloucester event the best way is through word of mouth through a friend. A Google search will give you many wedding and party magicians to choose from. The first thing to consider is does your supplier have a wealth of experience? Are they a people person? Performing magic looks easy. Bear in mind the skill of a performer needs to be able to manage people professionally at all times in all situations as well as fool and entertain them. Remember the performer is representing you in front of your family and clients. Hiring a professional with lots of experience is crucial. Even more so for a wedding or birthday party in Gloucestershire. As for the magicians magical skills try looking for lots of videos of the magician in performance throughout their website. Are their guests being entertained or bored? A professional will always have videos because they want to show case their skills. Also look for lots of media pictures of them performing at actual Gloucestershire weddings, birthday parties and events. Magician Andy has lots of these on his website. A very good sign is the magician has lots of positive reviews from Facebook or Google. These are very difficult to fake. More importantly are given by real people from weddings or events. Passionately performed passionately for your Gloucestershire wedding or event. Magician Andy’s attitude to his magic business is that the customer is King! He always strives to perform the most entertaining magic possible. He would passionately support your Gloucestershire wedding or event. Plus make you look good in the process! He creates a substantial amount of his own magical illusions. This in turn means that much of what your guests experience will be unique and original. Surprise is a major factor in a magic trick! 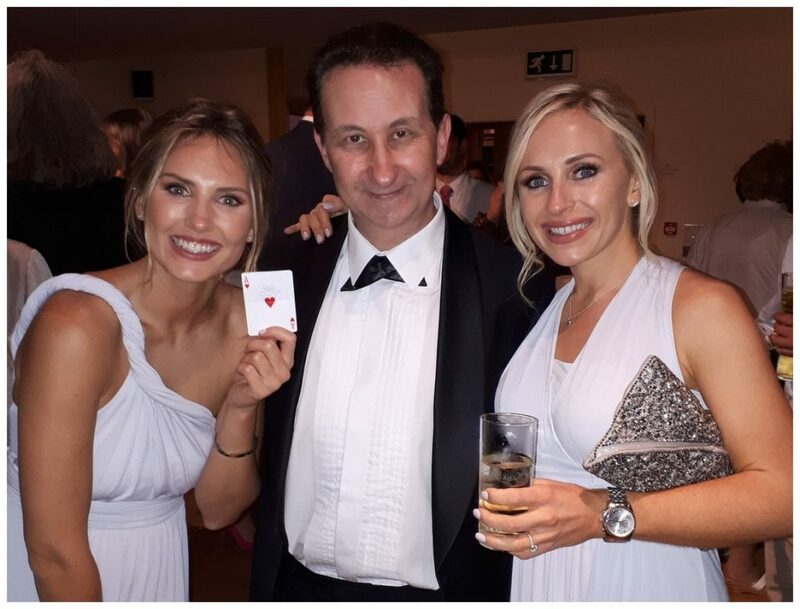 This year magician Andy has created one of his best card tricks to date. This effect is currently wowing audiences all over Gloucester and the UK. Consider this. Any playing card is freely thought of by a guest. The examined playing cards are then placed onto the floor or a nearby table. However at your guests command they cut by themselves. Not just anywhere. At the freely thought of card! Original and poignant close up magic to stun your guest!